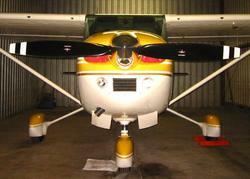 One issue that keeps coming up in aviation circles is which company to go with for a new or STC upgrade propeller. In fact, someone just emailed me today asking my opinion on this issue. Her McCauley prop had been condemned and she was trying to decide between another McCauley or a Hartzell Top Prop conversion. I guess if you’re flying an experimental, you have a lot of options–Catto, Sensenich, MT Prop, Whirlwind, etc. But for those of us flying certificated aircraft behind a constant speed prop, it usually comes down to Hartzell vs. McCauley. I have the original McCauley 2A34-C203 on my Skylane and it’s perfectly fine. However, I made a detailed inspection of the Hartzell factory in Piqua, Ohio last summer and was extremely impressed by what I saw. The company was owned by a large conglomerate (TRW) for a while, but Jim Brown bought it from TRW and took the company private again. When I was there, the president even took the time to say hello and sit down with us to answer questions. The Hartzell factory is very modern–everything is done on CNC machines except for some final grinding and shaping. That’s done by highly experienced (and compensated) craftsman. I’m was also impressed that some very demanding folks who need top performing props always seem to choose Hartzell. Sean Tucker, Wayne Handley, NASA, Rutan, etc. The thing that stuck with me the most about Hartzell is how much they value their employees. The average tenure of a Hartzell employee is more than 20 years, and it shows. McCauley seems to be just the opposite. 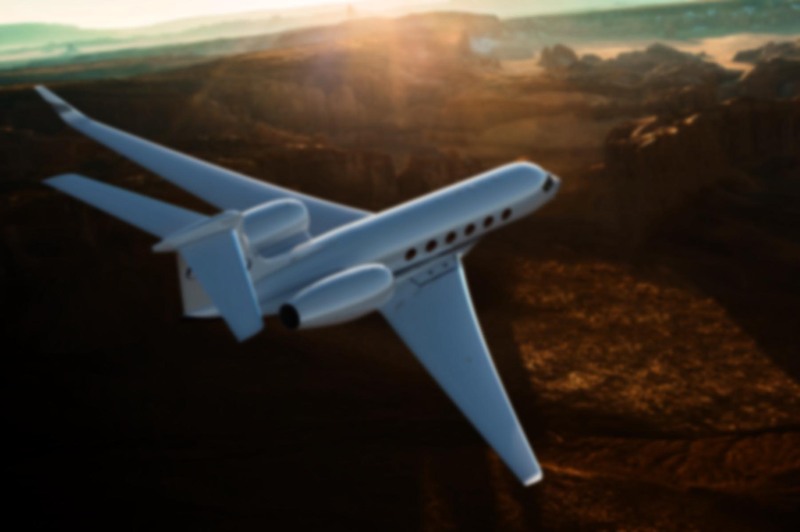 It once was an independent company that was highly regarded in the general aviation industry. But it was purchased by a large conglomerate called Textron. This is the same multi-billion dollar corporation that now owns Cessna Aircraft, Bell Helicopter, and Lycoming. Last summer, the original plan was to visit the McCauley factory, not Hartzell. McCauley was chosen because they made most of the props on the pre-96 Cessna fleet. But shortly before we flew out to Ohio, Textron decided to move the whole McCauley plant to another location to save money. Which is perfectly fine. But Textron decided not to take any of their employees with them! So the McCauley factory is working with all new people, and the quality is an unknown. There were rumors of low morale at the company as well. The McCauley web site was out of date last year, and at the moment is not even operational. So based on my experiences, if I needed to pick a prop right now, I would go with Hartzell. The fact that they are cheaper would make the decision that much easier for me. thanks for teaching me a little about the prop business, unfortunately, it seems that all of the conglomerates and/or big corporations have the same attitude, more profit, and less feeling of responsibiloity for their products or their employees. Yeah, that’s true. It’s hard to maintain that “family feeling” when you’ve got 100,000 employees and the company is publicly owned! There’s an upside to it, however. Textron is so large that it had enough cash flow to let Cessna weather the severe downturn in the aviation sector. Other aircraft manufacturers like Lancair, Mooney, New Piper, Micco and Stoddard Hamilton either had to shut down production or went bankrupt altogether. Quality and Support are two issues McCauley has a good deal of improvement to work on. I had less than 150 hours and 15 months on a C23 with new backplate and spinner; the backplate cracks and McCauley declines to support. The prop shop I work through was supprised but did mentioned that after the McCauley business move the support has been lacking at best. McCauley will not get my business back and I cannot recommend them to anyone. Big business or not Customer support has to be number one or the business will fail, and there is nothing more time tested than that. For those of you who haven’t been around the prop business, or are just pilots, let me fill you in on some details. Yes McCauley is owned by Cessna and you can complain about all of the problems that come from a Corporate owned facility such as McCauley. However on the flip side, think about resources. McCauley is now co-located at the Cessna site in Wichita, and all production has moved to the Cessna facility in Columbus Georgia. Now McCauley has more resources, financially, Quality, Manfufacturing and such than ever before. There may have been a slow transistion period, but I can vouch and say they are back up in full swing and are soon to be stronger and more focused than ever. No matter the task or problem that will arrive Cessna/McCauley is going to throw what ever money/resources it has to fix it. When it comes to Quality and Reliability, it’s simple, review the AD’s people. That will pretty much answer any question about who has the better design. And another note, those of you who mentioned that NOBODY from the McCauley Ohio facility made the move during the transition period you no more thand DEAD wrong! The Cheif Engineer, Senior Flight Test Pilot, Both DER’s, Senior Product Support reps, may have not physically moved to Wichita, but are still employeed by McCauley remotely and make weekly visits to the facility. Another thing to think about when buying a STC prop kit is availability. Do you want your STC kit delivered overnight or do you want to wait 6-36 weeks for a Hartzell kit. Make the call check for price and availability to your local McCauley Service Center and I think that will also answer your question. Just some thoughts, if any of you really wanted to know what it going on behind the scenes………. McCauley is still around strong, and is only growing….. I can vouch more so than their rivals in Piqua! comments????????? It’s sad but the predominant model in North America right now has big business dumping their long time union employees for cheaper labor. I’ve crossed McCauley off my list! Sounds like JAE’s comments on August 5th 2004 are sort of “Sour Grapes” he never explains why McCauley continues to lose business and Market Share to Hartzell and why McCauleys only serious customer is Cessna…and has no other real OEM business to speak about. The propeller industry has had its twists and turns over the last 50 years. Whether it is Hartzell or McCauley, something is always changing. McCauley and Hartzell are not an apples to apples comparison. Their products differ, their distribution methods are different and their aftermarket service is different. Judgements can be made in the immediate regarding the last few years, but as history proves, things may swing the other direction. Mike needs to rethink his comment…business can be lost and gained in a drop of a hat and todays market share could change very quickly.